Featuring 9 large headed red Freedom roses, 9 large headed pink roses and pink waxflower, hand-tied with thlaspi, pistache and salal leaves. Featuring large headed white roses, white lilies, white chrysanthemum blooms and white lisianthus with panicum grass, pistache and salal. 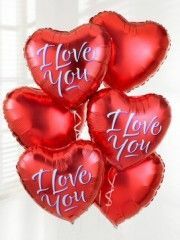 At Aberdeen Flowers we love creating and delivering your Valentine’s Day flowers to your loved ones because it is such a special time of year and we love being a part of your gift giving. 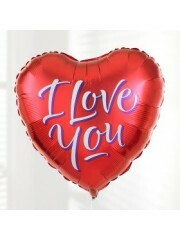 All of our Aberdeen Florists will be delighted to receive your order for Valentine’s Day flowers as we are committed to delivering customer satisfaction and want to help you make this day as special as possible when only flowers will do. 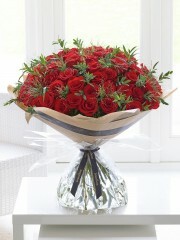 Aberdeen Flowers offer a great delivery service that allows you to sit back and relax, not even having to leave your home for your flowers to be delivered on this special day. 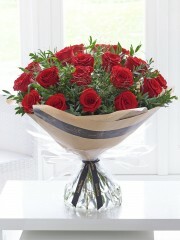 Aberdeen Flowers can deliver your Valentine's Flowers within Aberdeen, Scotland or UK Wide. 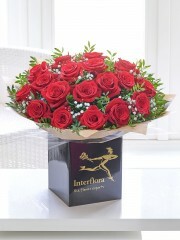 Our Aberdeen Florists can even have your flower arrangements delivered abroad in over 140 countries overseas thanks to our network of international florists who will be guaranteed to treat your order with all the care it deserves when delivering it to your loved one wherever they may be. 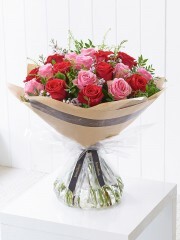 We can send your flowers out on the day you order them when you make sure to place your order by 3pm so that our Aberdeen Florists are given enough time to make everything perfect for you and your recipient. 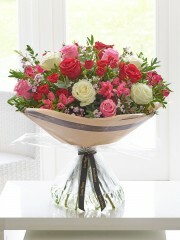 When it comes to flowers there is nothing we cannot provide here at Aberdeen Flowers. 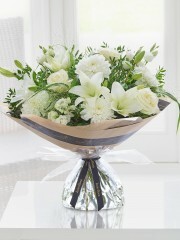 We have a wide selection of flowers which our florists will arrange for you on your special day. Our flowers come in all colours, sizes, shapes and varieties so that you can choose whatever you would like for your Valentine’s flowers, whether you want to go with traditional options or branch out a bit on this special day. 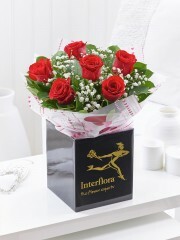 You can make as many specifications about your order as you want or alternatively leave the decisions up to our expert Aberdeen Florists who will be delighted to arrange something beautiful for your recipient for Valentine’s Day. 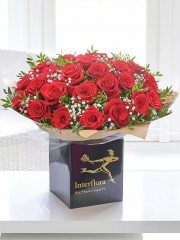 Our flowers are imported directly from Holland to ensure their freshness for your arrangement. We want to make sure that every flower used by our Aberdeen Florists is perfect for the occasion which is why we use only the freshest and most beautiful flowers and have them imported directly to ensure quality. We have a wide selection of Roses for you to choose from if you would like to go down this traditional route for Valentine’s Day Flowers. 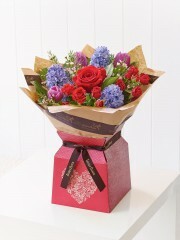 Flowers in Aberdeen also have many more flowers for you to choose from and of course you can select from our core category as well. 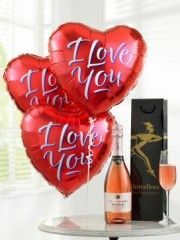 Make Valentine's Day extra special this year and order your flowers from Aberdeen Flowers. 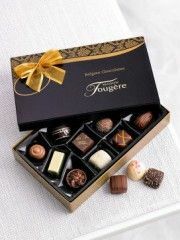 Our Florists in Aberdeen can also supplement your order with Chocolates, Champagne, Wines and many other gifts; or you can send these by themselves. We will ensure to meet your needs, if you can't see what you like on our website, or are needing ideas then call one of our expert florists who will be eager to try and help. Our Aberdeen Florists have been trained for many years and will be able to meet your exact needs on this very special day. At Aberdeen Flowers we use our more than 30 years of experience to make every arrangement perfectly for you and your recipient so that your satisfaction will be guaranteed. We pride ourselves on our beautiful arrangements and quick, careful delivery service that brings you your Aberdeen Flowers without any hassle. 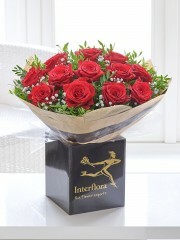 Your order will be in the very safest of hands when you choose Aberdeen Flowers, because all of our skilled Aberdeen Florists care about making sure that your arrangement will be the best that it possibly can.